The ETEC LED Fan 7070 is a unique LED effect, you may have seen it in major TV studios, festivals and large stage shows. The fan is equipped with a total of 792 SMD 5050 RGB LEDs and creates unique effects through the rotation. The LEDs are divided into two segments each and can be controlled via DMX as a stroboscopic effect and with RGB color mixing. The rotation speed and direction can also be set variably via DMX. The unit measures approx 1m x 1m and comes with various rigging points. 3 and 5 pin dmx inputs allow various options to lighting operators, power is provided my powercon in and out connections. 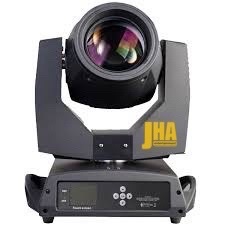 The new JHA Mini Star is a compact and highly versatile unit. 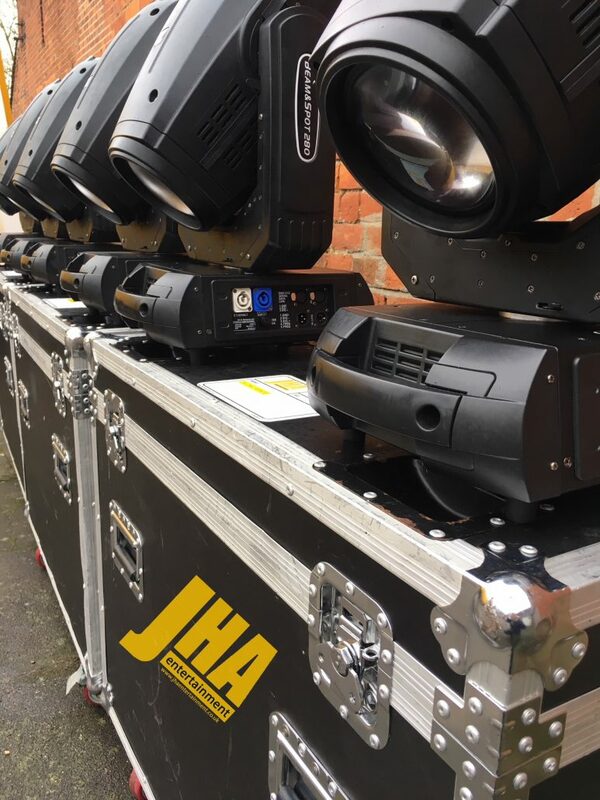 The 7x 15w RGBW LEDs which all pixel mappable provide the huge light output. With lighting fast pan and tilt coupled with a powerful zoom range make this a fantastic unit for all types of event. The wide zoom range allow the fixture to be used as a beam effect or a stage wash light. Pixel control of the 7 LEDs allow for eye candy effects. Either through 22ch DMX or built in macros for simple show programming. 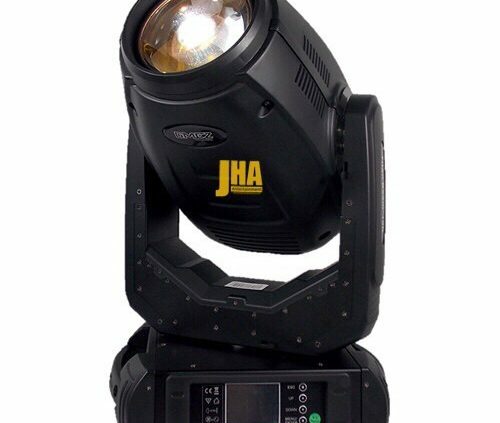 Shipped in a light case of 6 with clamps and Powercon – 16a T-Line the JHA Mini Star is great choice for any size show. 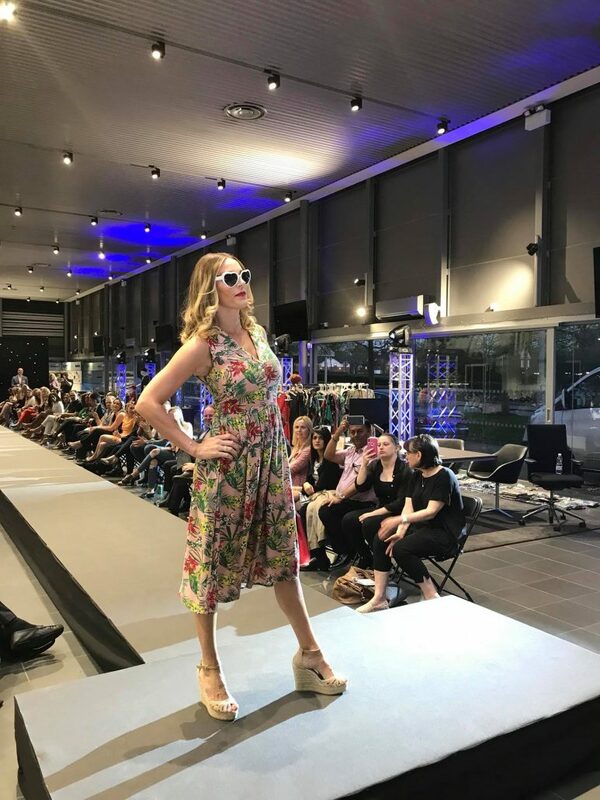 We were approached to assist with the production of a fashion show. 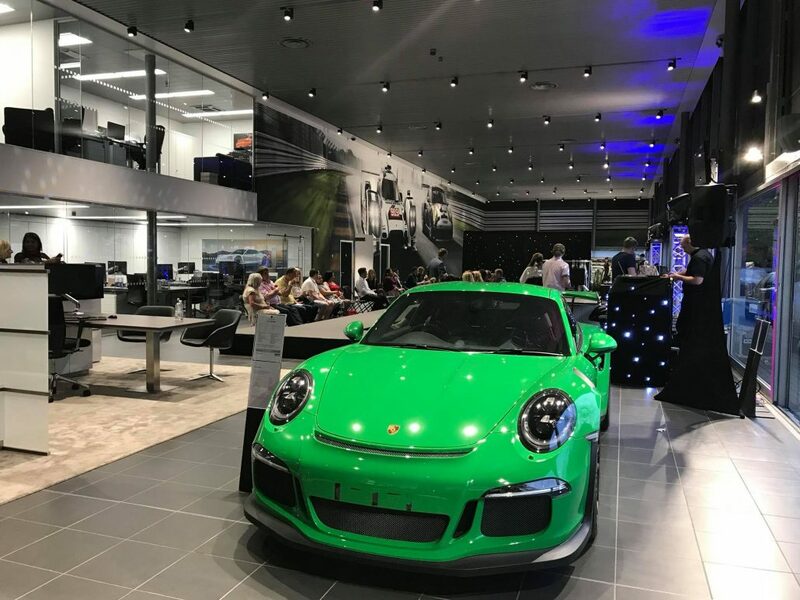 This took place at the Porsche Centre in Hatfield. 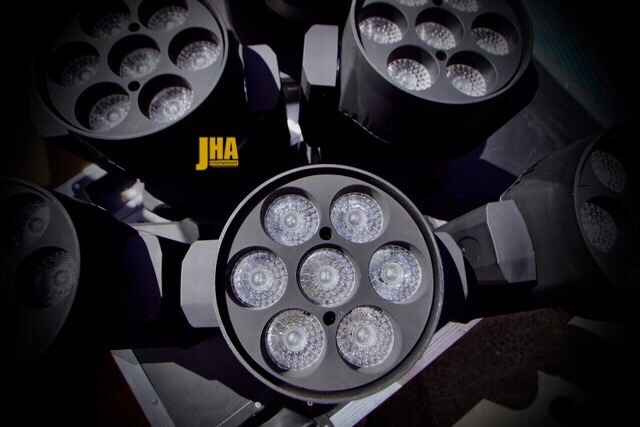 6 lighting towers were provided each with our 10r JHA Pointie units.